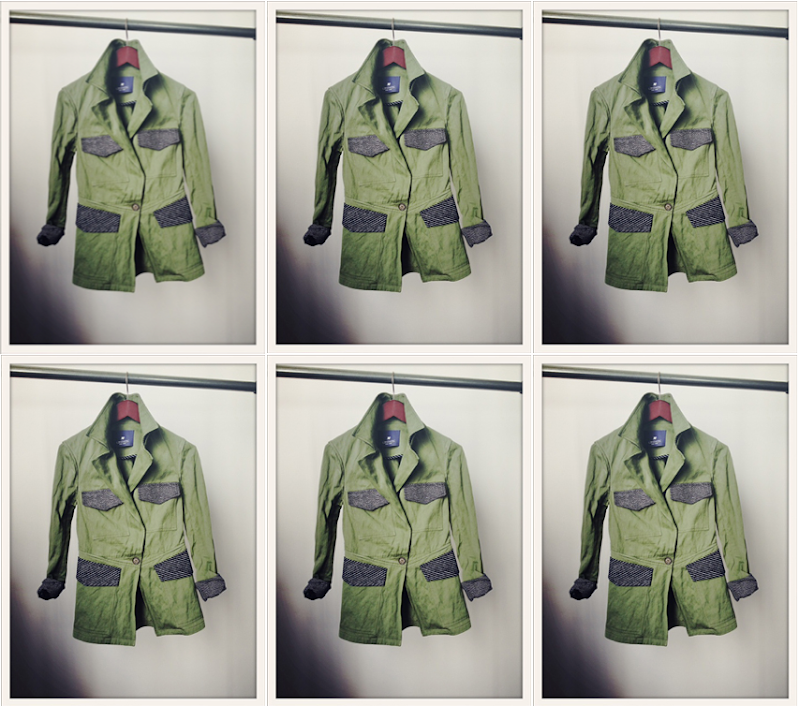 If you follow me on Twitter or Facebook you may have already caught a few sneak peeks of my collaboration with Gryphon New York on The Tomboy Jacket ($655) for their Spring 2013 collection. It was announced today on Style.com and will be available for pre-order starting Monday. The jacket is half equestrian blazer and half field jacket and is made of a water repellant metal cotton twill and has Japanese-inspired indigo dye detailing under the sleeves, the collar and on the outer pocket flaps. I was thinking both of Joanne Woodward and WWII correspondent Margaret Bourke-White for inspiration; and of course if it was going to bear the name Tomboy Style, it had to be functional and stylish. I can't stop wearing mine. If you're interested in buying one, they'll be available for pre-order on Monday at Les Nouvelles, I'll be giving out a 15% discount code then too! Thanks to Aimee Cho at Gryphon for being such a rad collaborator! I love it! Can't wait to order my Tomboy Jacket. Congrats! 655 dollars?! Are you serious? That's just not right. Fit is true to size/a little small, I'd size up if you want some breathing room.